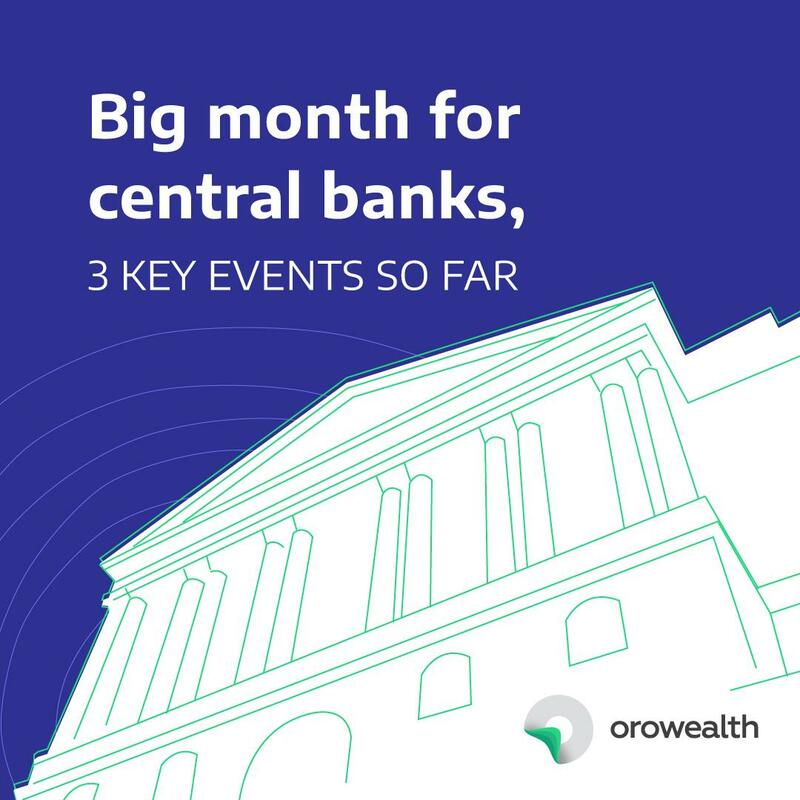 Big month for central bank, three key events so far! Home > 2-minute reads > Big month for central bank, three key events so far! It’s been a big month so far for the central banks across the globe. The Federal Reserve, Emerging Market Central Bank and the Reserve Bank of India have been tinkering with monetary policy. In this article, we present to you a quick snapshot of the three events that happened over the past two weeks time. RBI monetary policy – On June 6, 2018, the Reserve Bank of India (RBI) in its second bi-monthly monetary policy review of fiscal 2019 hiked the key lending rate or repo rate by 25bps to 6.25%. The central bank has projected inflation in the range of 4.8-4.9% during H1FY19 that is marginally higher than the inflation rate during the same period in previous fiscal. The central bank, in its policy document, sees major upside risk to the inflation as crude prices have started to soar. Thus, any continued volatility in the crude oil price will continue to add uncertainty to the inflation outlook. In addition, the policy note captures that geopolitical risk surrounding the US; China and other countries and trade protectionism could impact the growth at home. Lastly, a strict adherence to budgetary targets set by the central government and state government could help ease the risk on inflation but it remains a key monitorable given the economy is in the penultimate year of the general election due in 2019. Moving to the global counterpart, the story is no different. US Federal Reserve (Fed), in its monetary policy meeting held on June 13, 2018, increased its interest rate – a second hike during the year so far. The Fed indicated the possibility of two further rate hike over the course of the year. The rationale highlighted behind the rate hike is faster growth in inflation than projected due to falling unemployment. The Federal Open Market Committee (FOMC) indicated that though the interest rate s stepping up, there could be no material impact on the economic growth. The Emerging Markets (EM) financial crisis, per fed policy statement, is now past and the global asset markets have fully “priced” the increase in interest by the Fed. While the thesis is conceivable given the correction in the EM, the hawkish statement from the Fed Chair doesn’t negate future surprises. India’s retail inflation rate accelerated to a four-month high of 4.87 percent in May 2018. The rising inflation is driven by higher fuel prices, and depreciating rupee. We believe the inflation for subsequent months June-August could be even higher and the RBI’s estimate of 4.9% could be breached. Almost everything on India revolves around oil. Thus, with inflation not easing anytime soon in next 2-3 months time, we believe there will be one more rate hike this year in August 2018. In addition to the inflation, the rate hike by the Fed will drive the EM central banks including India to increase the interest rate to ensure the yield difference between US and EM bonds is protected and the currency valuation is not impacted. The policy statement of June 2018 has already impacted the gilt prices with yield moving up marginally. We believe the RBI has been mindful of the fact that the growth (with elections around the corner) and inflation will be determinant of interest rate trajectory and thus they have maintained a neutral stance. A neutral stance with rate hike helps the central bank to be non-committal about the future course of action. A similar thing was seen in 2017. But the story is different this time around as crude has moved sharply when compared with last year. Thus, we believe that “one hike and done deal” is unlikely. Lastly, the progress of monsoon, hike in minimum support price for agriculture commodity, government budgetary maintenance would also remain a key monitorable. How do we see the impact on equity and debt? We believe equity investors are well rewarded over the long-term. While fundamentally not much has changed, we remain constructive on India’s growth story. However, to cope up with the short-term volatility, we would place higher bets on the large-cap companies to mid-cap companies given better liquidity and better track of corporate governance. For debt market, business raises capital by accessing fixed income market. The returns on fixed income market are dependent on interest rate and maintain an inverse relationship. Thus, with interest rate going up, the Net Asset Value (NAV) of debt funds are likely to see pressure. However, we do not see more than one hike over the year and things could get back to normal starting September 2018, thus any investment in mid-term debt funds are not likely to see any major impact. While some turbulence may be seen in the short-term funds, we believe it will still remain preferable investment instrument for risk-averse investors. Should you have any further questions, feel free to write to us at connect@orowealth.com and we shall be happy to help.